Amid the myriad of great new features in the RadStudio XE8 release, there is one which I sincerely hope is not overlooked. RadStudio now has a component repository! The ability to install third party components and controls has always been one of my favorite features of the RadStudio product line. With the addition of a third party component, you can add new, powerful functionality to your application in minutes. Third party components are something of a double edged sword, but I’ve always felt their advantages outweigh their disadvantages. For example, when you use third party code you are dependent upon that third party to maintain that code, but by the same token you free yourself of the burden of maintaining it yourself. If you select your third party vendor carefully, you’ll benefit greatly from having another business, or individual working for you to keep that technology current. While this is a very powerful feature of the RadStudio IDE, it has not been without it’s own problems. First of all, installing your selected third party components into the IDE takes time. 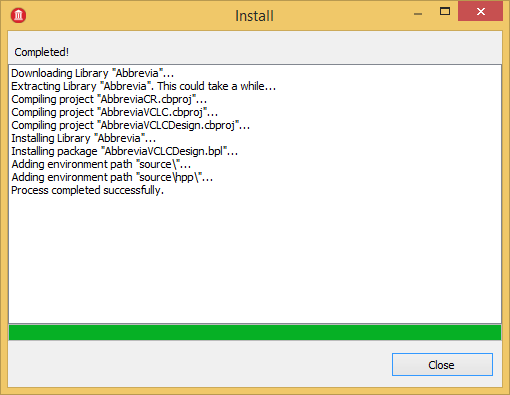 Each time you upgrade your IDE, you go through the various component installation instructions again. The component market place has also been somewhat fragmented, each component that you’d like to upgrade may be from a different vendor, and you have to source them again and again, each time you upgrade. This repository is already populated with a number of great and popular components for RadStudio. All of the components in the repository at present are also free to use (under their respective open source or free licenses). Notice the small arrow buttons at the bottom of the window, allowing you to scroll the available component sets, and the search bar top right. If you hover your mouse pointer over any of the component sets, a brief description of them will scroll into view, so that you know what you’re looking at. 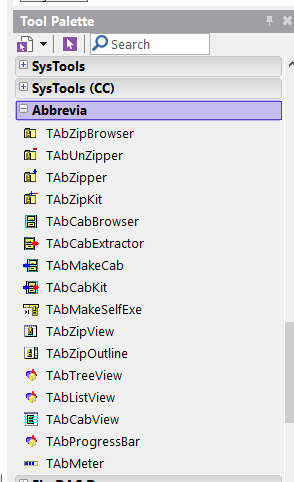 Each component set has a button which allows you to install them into the IDE, or uninstall them from it. 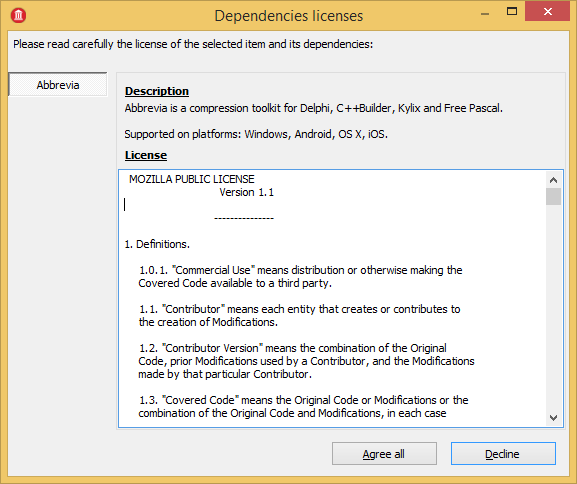 If you click on the install button for a component (I selected the Abbrevia components) you’ll be presented with another screen detailing the component dependencies and license agreement. 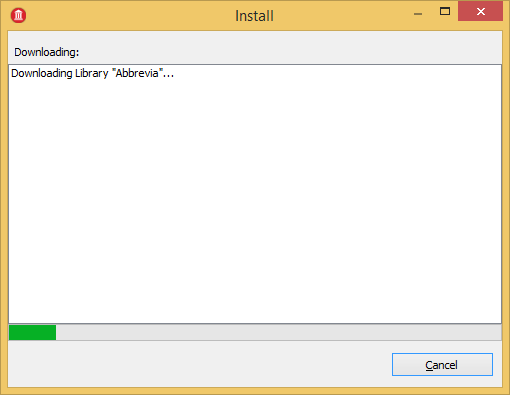 Having accepted the license terms, you’ll be gifted with a progress bar as the component set is downloaded, and installed right into the IDE. Upon completion, you don’t even have to restart the IDE, the component is installed and waiting for you in the tool palette! The items that are currently provided in the repository are some of the more commonly used component sets…. Async Pro – A communications framework. Boost – Template based C++ language extensions. 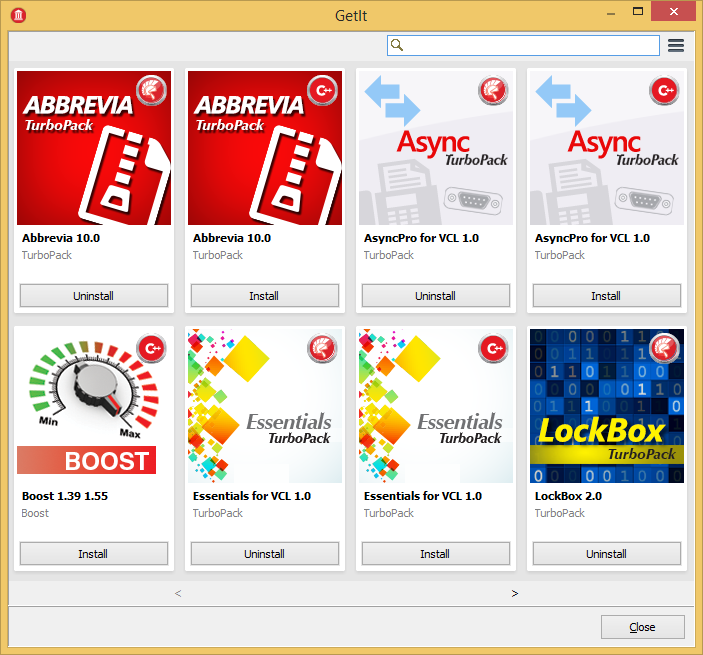 Essentials TurboPack – Essential controls including calendars, buttons, dialogs and labels. OnGuard – A system for the creation of trial / demo versions of your applications. Orpheus – An award winning UI toolkit. SysTools – A utility toolkit including bar codes, precision math, logging and other utilities. VirtualTree – One of the most flexible tree controls available today. Embarcadero are committed to keeping these controls available for each new release of RadStudio, and will be including more component sets as time goes on. At present, my understanding is that both paid and free component sets will be added to the repository from both Embarcadero and Third Parties. I can’t tell you how long I’ve wanted a feature like this in RadStudio. If you’re as excited as I am about this addition, spread the word! Also, why not ask your component vendors if they’ll be adding their components to the repository? 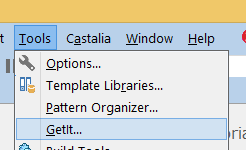 If you’re a long time Delphi or C++ Builder user as I am, I’m sure this will be a welcome addition to the tool set. If you’re new to Delphi or C++ Builder, then you’re going to really enjoy increasing your capabilities with the addition of these great third party components!